After ditching two notoriously toxic compounds, manufacturers subbed in other versions of their chemical class. But are they any better? March 26, 2018 — When Donald Taves discovered two kinds of fluoride in his blood in the late 1960s, he immediately knew something was wrong. Everyone assumed that blood contained just one type of fluoride, a naturally occurring form that health officials added to drinking water to prevent cavities. But levels in people’s blood didn’t seem to relate to those found in their water supply. Taves, then a researcher at the University of Rochester, set out to find out why — and discovered that his blood contained a second form of fluoride. With colleagues from the University of Florida, he then analyzed additional blood samples, from over 100 people living in five different U.S. cities. The researchers found this second form — which he suspected was a synthetic, highly stable form made by adding fluorine atoms to a carbon chain — in their blood, too. Members of this family of chemicals, known as per- and polyfluoroalkyl substances (PFASs), repel oil, water, stains and heat, thanks to the unique properties of their seemingly immortal fluorine-carbon bonds. They’ve been manufactured and added since the 1950s to a dizzying array of consumer and industrial products, including carpets, fabric, cosmetics, outdoor gear, nonstick cookware, microwave popcorn bags, airplane hydraulic fluid and firefighting foams. And, as Taves discovered, these “forever chemicals” can escape from these products. PFASs enter the environment — and ultimately humans, domestic animals and wildlife — through multiple avenues, including improper disposal, emissions from plants where they’re made and used, airports and military bases that deploy PFAS-containing firefighting foams and wastewater from landfills overrun with chemically laden cast-offs. Once these problematically persistent chemicals enter the environment, they are extremely difficult to remove: Scientists have now detected them in nearly every corner of the globe and in nearly every American tested. And once they enter our bodies, they cause trouble. 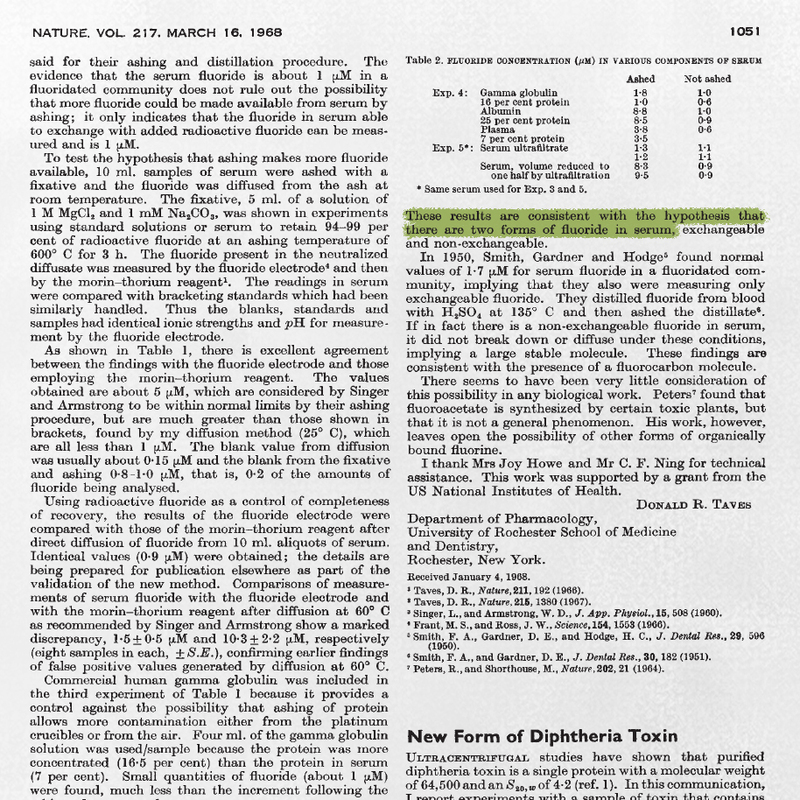 Studies in animals and people suggest that two of the best studied PFASs — perfluorooctane sulfonic acid (PFOS) and perfluorooctanic acid (PFOA) — may cause diverse adverse effects, including hormone disruption, testicular and kidney cancer, liver damage, high cholesterol, reduced vaccine response, and adverse reproductive and developmental effects, according to the U.S. Environmental Protection Agency (EPA). Taves was worried about the potential risks of PFASs even in 1975. He contacted chemical manufacturer 3M to see if the compounds he found in blood could have come from its Scotchgard line of stain-repellants. But Taves says he didn’t get a straight answer — a recollection confirmed by an internal 3M memo, in which a company rep tells his colleagues “we plead ignorance” to Taves’ inquiry. The company’s refusal to admit that its products could have been a source of fluorochemicals helped to stall regulation for decades, while evidence of their harm accumulated. Finally, 25 years later, 3M agreed to stop producing PFOS — a main ingredient in Scotchgard — in response to growing concerns about its ubiquitous presence, toxicity and tendency to build up in the food chain. And in 2006, 3M, DuPont and other leading chemical manufacturers joined in an EPA program to drastically reduce PFOA production by 2010. As replacements for PFOS and PFOA, so-called “long chain” chemicals (based on the number of carbons), chemical companies have switched to “short chain” PFASs. In some cases, they’ve substituted entirely different classes of chemicals. The EPA started reviewing the potential toxicity and environmental fate of short-chain replacements in 2000. Yet little information is publicly available on the toxicity, properties and uses of many of these substitutes. And scientific reviews have concluded that the substitutes are just as persistent as the old versions, leaving concerned scientists to call for a new strategy that leaves this entire class of chemicals behind. For over 50 years, regulators allowed chemical companies to produce PFOA and PFOS under the assumption that they were safe. It took scientists decades to demonstrate the folly of that assumption, as factories that made or used the chemicals contaminated the neighborhoods and drinking water of nearby communities. Outraged communities stepped in where regulators had failed to hold chemical manufacturers accountable for decades of pollution. In February, 3M agreed to a US$850 million settlement with the state of Minnesota, which sued the firm for polluting the state’s groundwater by offloading “massive quantities” of PFOA, PFOS and related compounds into unlined pits and trenches. Last year, DuPont and its spinoff Chemours agreed to pay US$671 million to settle some 3,550 suits filed by communities suffering high rates of cancer and other ailments near its plant in Parkersburg, West Virginia, which used PFOA to make Teflon. 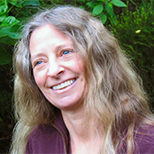 And an independent panel of epidemiologists, appointed as part of the DuPont agreement, determined that there was a “probable link” between PFOA exposure and community members’ diagnoses of high cholesterol, ulcerative colitis, thyroid disease, testicular cancer, kidney cancer and pregnancy-induced hypertension. Many scientists worry that companies are replacing one set of bad actors with another. Chemical industry representatives maintain that the new generation of chemicals is different. “The short-chain fluorinated products that are on the market today have been thoroughly reviewed by regulators and are supported by a large volume of scientific data supporting the safety of these products,” says Jessica Bowman, executive director of the FluoroCouncil, a global trade group run by the American Chemistry Council. There is general agreement that short-chain alternatives don’t last as long in people’s bodies. But many scientists worry that companies are replacing one set of bad actors with another. Both short-chain and long-chain versions have carbon-fluoride bonds, which do not occur in nature. Both varieties are extremely resistant to breaking down in the environment, if they break down at all, and little is known about the health impacts of the substitutes. But so far, the few short-chain compounds environmental health scientists have studied look and act a lot like the long-chain versions: They’re persistent, can build up in plant tissue and may be just as toxic. It’s clear that the short-chain molecules are ending up in the environment, too. Last year, EPA scientist Johnsie Lang published the results of her Ph.D. research, which she said tested chemical manufacturers’ claims that once PFASs reach landfills, they stay there. Lang identified 70 long- and short-chain PFASs in samples of landfill runoff, which operators send to wastewater treatment plants. 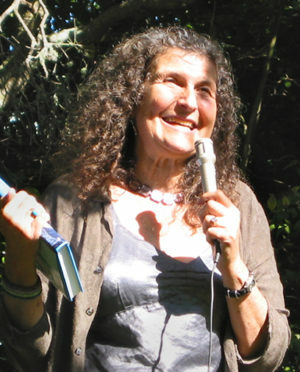 Short-chains will likely end up in surface waters, she explained in February at a meeting in Berkeley, California, on persistent pollutants, because they easily slip through filtration systems. 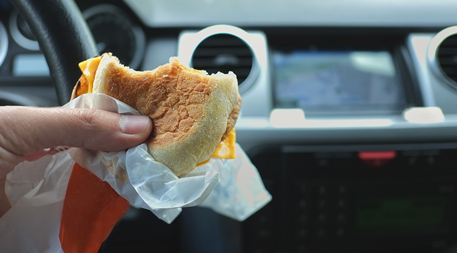 Lang went on to work with a team of researchers who found several short-chains plus other PFAS chemicals they couldn’t identify in a third of food-contact paper samples collected from fast-food outlets. 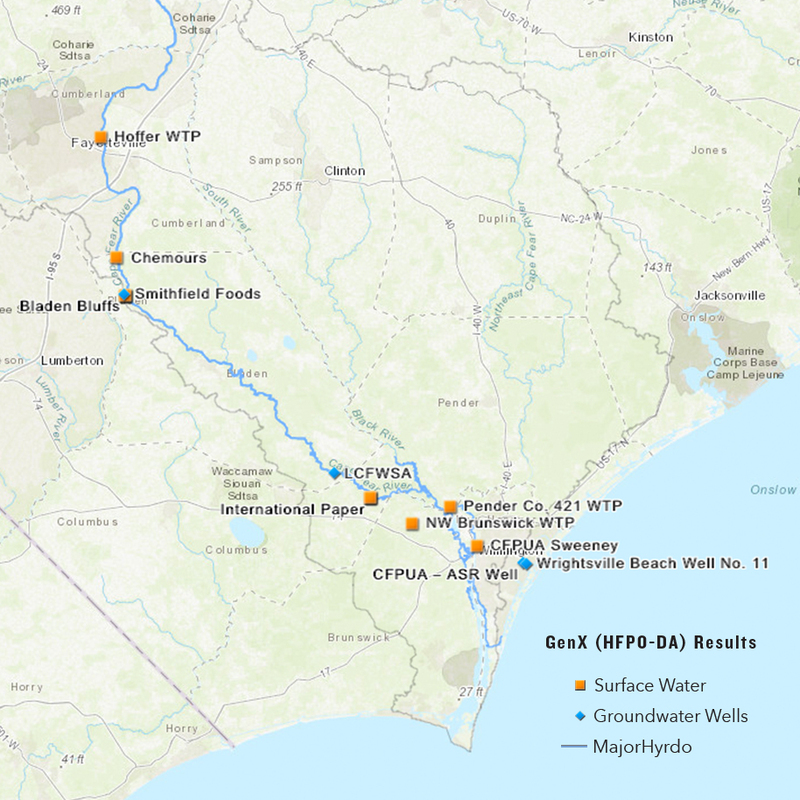 In 2007, EPA scientists found the two best known and recently curtailed PFASs, PFOS and PFOA, in the Cape Fear River near DuPont’s Fayetteville, North Carolina, facility. 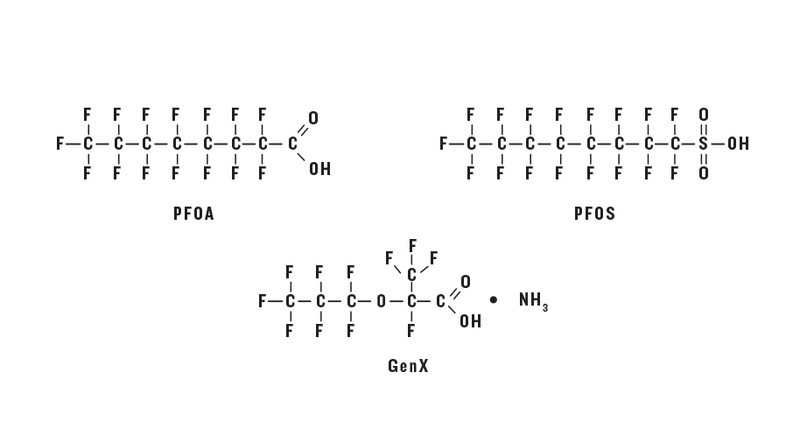 Two years later, the EPA approved the short-chain compound GenX as a replacement for PFOA on the condition that DuPont (and later its spinoff Chemours) contain environmental emissions. Three years after that, scientists found GenX in the Cape Fear River watershed. The Cape Fear water-treatment plant, which serves nearly 200,000 people, failed to remove GenX from wastewater. Little is known about the toxicity of GenX, so last year Knappe and his colleagues secured a grant to study exposure and health effects in people who depend on the Cape Fear for their drinking water. Animal studies have linked the substance to cancer of the liver, pancreas and testes but its effects on people are not known. And again, communities have stepped in to hold chemical companies accountable for contaminating their water and neighborhoods. In January, lawyers filed a consolidated class-action suit on behalf of thousands who live in the Cape Fear River Basin against DuPont and Chemours, which now makes GenX. The lawsuit charges the companies with illegally dumping GenX into the Cape Fear River and harming residents who drank the contaminated water. “We are currently reviewing the claims made in the suit, and will respond accordingly in court,” says Dan Turner, a DuPont spokesperson. Chemours did not respond to a request for comment. Meanwhile, scientists without industry affiliations continue to challenge manufacturers’ claim that short-chain PFASs are suitable substitutes for long-chain relatives because they pose less risk. Researchers have no idea what a lot of these compounds are, Lang said at the Berkeley meeting, while others “have zero toxicology papers on them.” That’s because industrial chemicals are loosely regulated. Manufacturers of pesticides must provide “standards,” or pure versions, of their product, including any related compounds. That way, scientists have a reference to help them detect their presence and quantities in a given sample. Manufacturers of industrial chemicals like PFASs, however, face no such requirements. Critical information about short-chain alternatives is often guarded as proprietary, forcing independent scientists to spend considerable time, resources and effort to test such claims. Knappe says there’s no reason to assume that short-chain PFASs are safer than long-chains just because they’re excreted faster. A short half-life may not matter when you’re constantly exposed, he says. He points to another drinking water contaminant called 1,4-dioxane. The body clears 1,4-dioxane rapidly too, yet it’s still classified as a likely human carcinogen. In January, researchers from Stockholm University and the Swedish Chemicals Agency reported that some fluorinated alternatives, including GenX, may “have similar or higher toxicity” than their predecessors. Over 200 scientists from 40 countries expressed their concern about PFASs in 2015 in a document known as the Madrid Statement, written by 14 experts on the environmental fate, health impacts and policy issues concerning PFASs. They laid out the scientific knowledge on the potential risks posed by the entire class of PFASs, short-chains included. They also called on chemical manufacturers to disclose the identity and toxicology of PFASs and to develop safer alternatives. Industry representatives point to the wide diversity of PFASs on the market as a reason not to condemn the whole class. Industry representatives point to the wide diversity of PFASs on the market as a reason not to condemn the whole class. “Because of this very broad diversity, it is inappropriate and unscientific to take a class-based approach toward the whole universe of PFAS products,” says the FluoroCouncil’s Bowman. Blum and Tom Bruton, an environmental engineer who works with Blum at GSPI, say that protecting environmental and public health ultimately requires a shift to nonfluoridated alternatives. Several fast-food outlets and food-packaging manufacturers use fluorine-free materials, and fashion and outdoor apparel companies have made a commitment to phase out PFASs. Many companies are keeping their formulas secret to gain a competitive edge, Bruton says, so it’s hard to say for sure that they’re safe. For example, he says, little is known about the toxicity and environmental fate of silicone, among the alternatives used to make PFAS-free cookware. Even so, he adds, the general feeling among his colleagues is that moving away from fluoride-based chemistry is an improvement. More and more regulators think so, too. So far, 16 bills to regulate PFASs have been introduced in nine states, according to Safer States, a coalition of public interest groups, including Vermont Conservation Voters and Maryland PIRG. The Washington State Legislature recently passed a bill banning PFASs in food packaging, following Rhode Island’s lead, and another restricting their use in firefighting foams. In addition, several states have proposed enforceable PFAS standards for drinking water. The EPA just announced that it would hold a summit in May to help states coordinate monitoring and remediation of these persistent contaminants and address widespread concerns about them. When Taves reported finding fluorochemicals in Americans’ blood over four decades ago, few beyond the scientific community took note. Today, the knowledge that exposure to these toxic industrial chemicals is pervasive has sparked widespread concern, says Bruton, and given companies a reason to explore alternatives. Meanwhile, skeptical scientists continue to go through the painstaking process of assessing the environmental and health impacts of one chemical after another while wondering if they, too, are placing a new generation at risk. It's a well written article have insight of chemical using in our daily life. We should also take care of tons of pesticides, weedicides etc. adding in our soil and environment daily at the name of food security. As a Pharmacist&Biochemist, I have taken for sure that all those plastic chemicals were, are, and will be the very responsible for so many ailments for people all around the world. Sadly, we are going to vanish from this planet sooner than one can foresee due to greed, lies, and all sorts of misconduct of those criminals to whom money and power are the only interest.